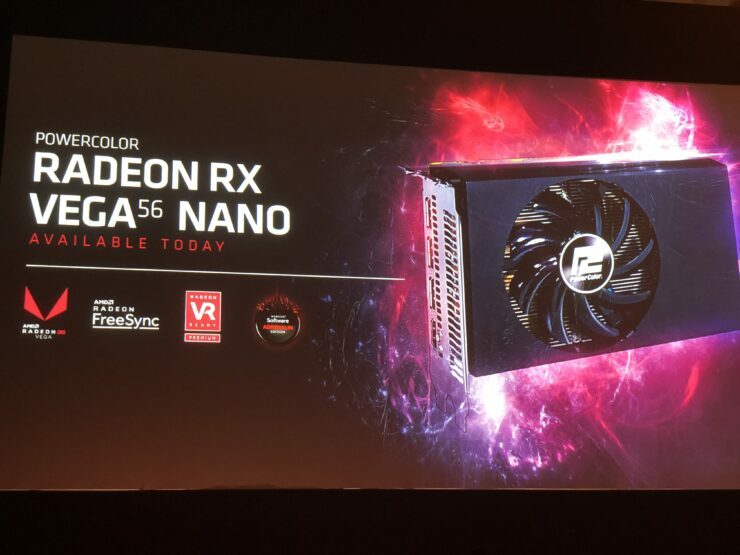 AMD finally launched something that we have been covering for quite some time now – namely the RX Vega 56 Nano. 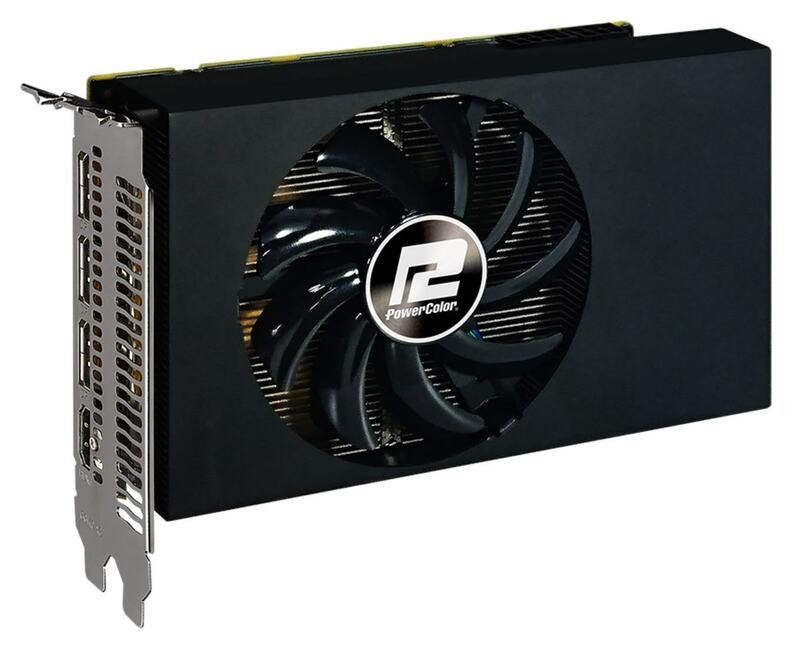 The exact AIB variant that they showcased at Computex 2018 was the Powercolor variant and is something that has been a long time in the making. The exact specifications the card were not revealed at this time but we will update the article as soon as we can confirm. Considering the past trends with Nano however, we are fairly certain that the specifications will be about the same with a lowered thermal envelop. 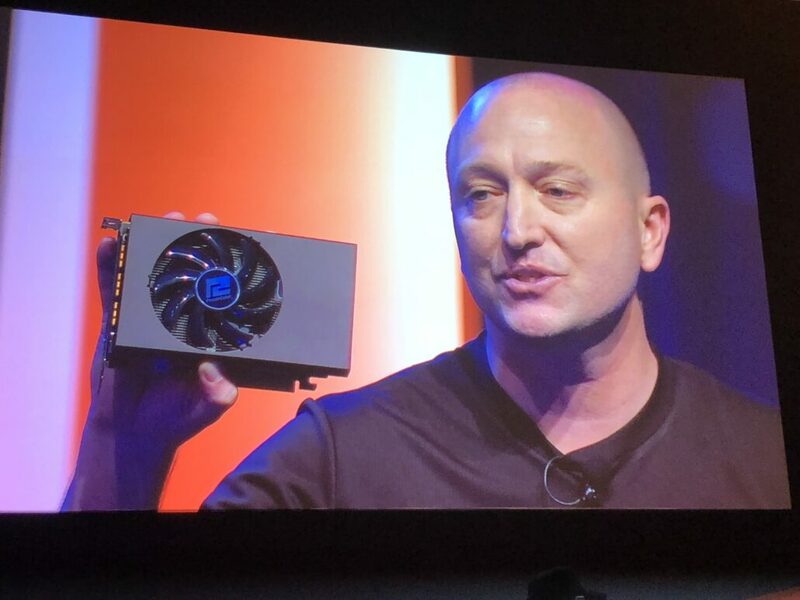 This means that this will be a vega working on a starved TDP and wattage budget and honestly – that’s where the Vega GPU truly shines (Vega M anyone?). What is interesting is the fact that instead of showing off a reference edition, they showed off the PowerColor variant which is the AIB we heard about before along with Sapphire. It is possible that only a select few AIBs will be rolling this particular variant out. Nano variants have been pretty successful historically from a performance perspective and this one will probably be no different. Stay tuned for more info.